Given their reach and relative anonymity, ecommerce platforms have always been a popular option for counterfeiters looking to make more sales. 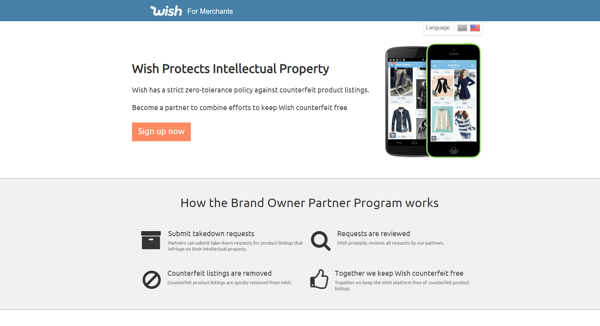 It seems no ecommerce platform is able to completely prevent counterfeiters accessing their site, and certainly, Wish.com is no exception. Wish.com, is rapidly becoming a major player in the ecommerce market. 2017 was the platfroms breakthrough year, becoming the number one downloaded shopping app in the U.S. and generating over $1 billion in revenue. The site is mainly used by those seeking low-priced deals and so naturally counterfeiters have begun operating on the site. It’s important for brands and customers to be able to report any counterfeits they find, so the goods news is that ecommerce platforms across the board have improved their reporting and takedown tools in recent years. If your brand is being targeted by counterfeiters on Wish.com, then this guide is all you need to be able to file reports for counterfeit products and bad sellers. 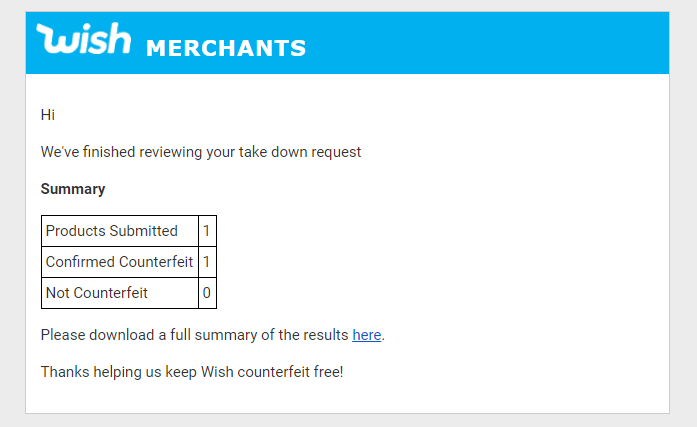 The first step you need to take to be able to report and remove counterfeit products on Wish.com is to have a Merchant account registered. This is the type of account used by sellers on the platform. Just as it’s important for a brand to enforce intellectual property on websites that they may not intend to use themselves, it is necessary to have a Merchant account on Wish to file counterfeit reports, even if the brand has no plans to use it to sell products. First, log in by following this link: https://merchant.wish.com/login. 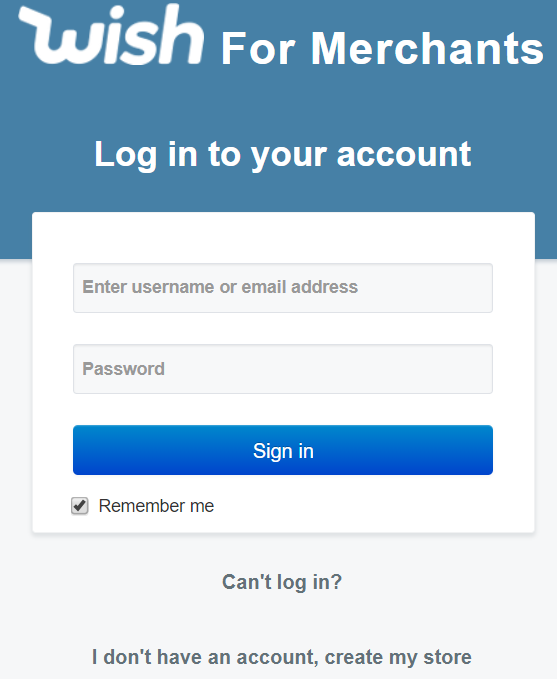 If you don’t have an account, then click “I don’t have an account, create my store” below the sign-in box. Proof of intellectual property, in the form of documentation as a pdf or an image, to demonstrate registered trademark, copyright, patents and so on. Once all this data has been included, your account will be completed, and can continue to the next step. 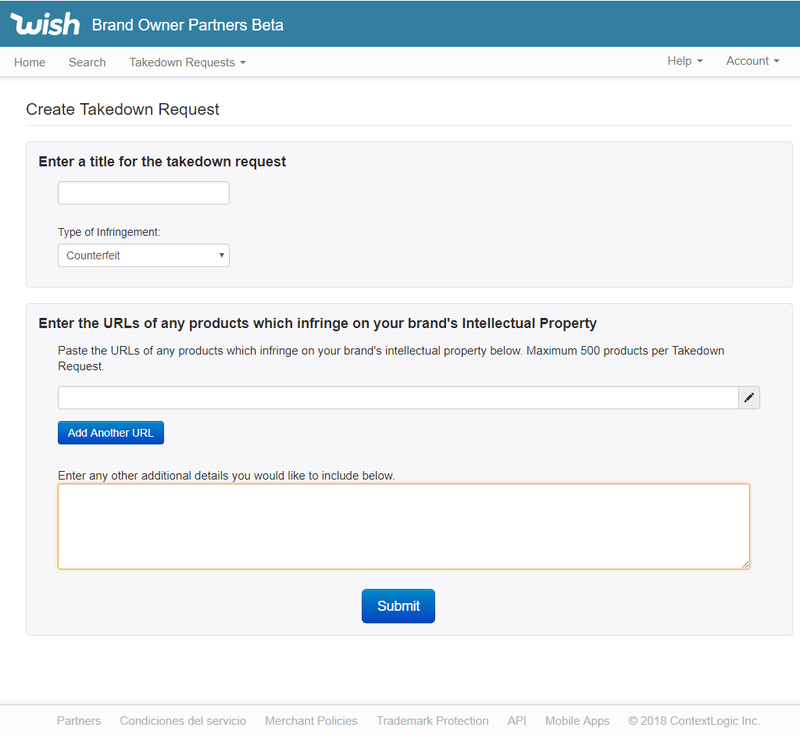 Once your Wish account has been set up, you can start creating takedown requests. To start this process, follow this link: https://merchant.wish.com/brand-partner. Click this button and a menu bar will appear along the bottom of the page, as shown below. At the furthest right of this bar is an option for “trademark protection”. Click it and you will then arrive at the Takedown requests page. There is some necessary information to add in order to submit a takedown request to Wish. Once the requests have been submitted and analysed by Wish, you will receive a report by email afterwards, detailing the success of your request, as shown in the image below. 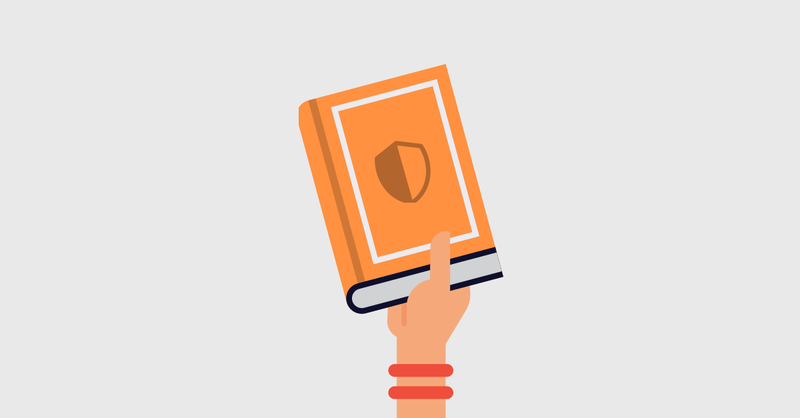 The Wish reporting tool explained above is a simple and reliable method of enforcing your intellectual property rights on the ecommerce website. However it’s also possible to report counterfeit products on Wish by email, if the reporting tool is not a viable solution for any reason. The report will require personal details of the brand and IP holder, as well as information about representatives/agents working on the case if the IP holder is not submitting this request. 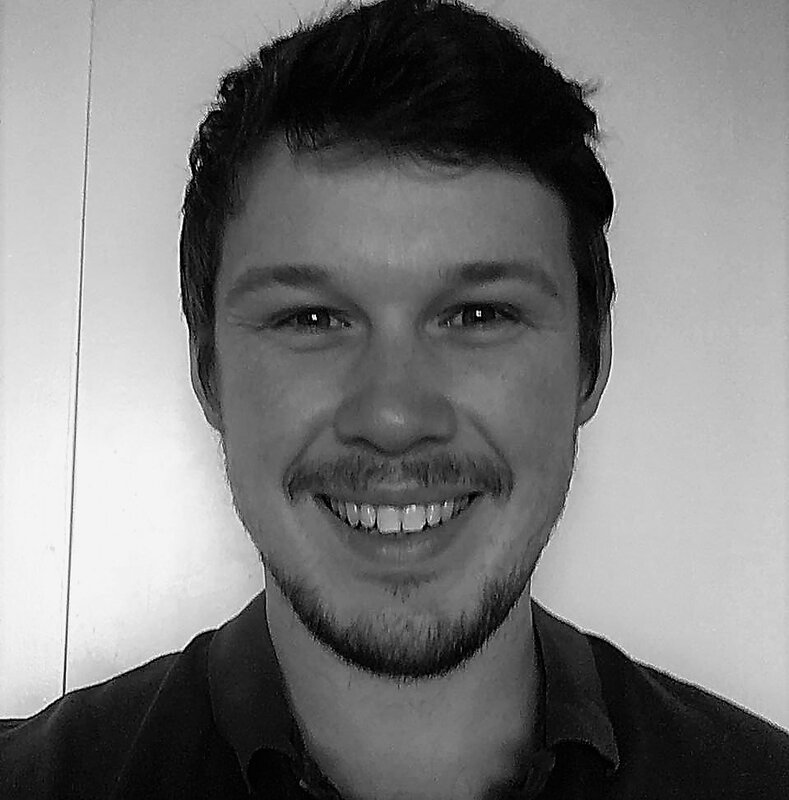 Since trademark is easily the most commonly submitted type of intellectual property for brands to enforce, we have outlined the details required for a trademark report. If a design or utility patent, copyright, or other form of IP is being infringed, replace the trademark information for the relevant details instead. Type of claim for removal, such as trademark, design patent, etc. If you have supplied the correct information and the seller has not challenged your removal, your enforcement will be successful, and products and accounts infringing on your IP will be removed from Wish. This is a positive step for your brand protection, but it’s important to stay vigilant across all ecommerce sites that counterfeiters may have built a nest in. Red Points can provide a free scan of online marketplaces and see if your products are being sold elsewhere without your knowledge. If this interests you, please email us at marketing@redpoints.com and we’ll be happy to talk.